Here is a listing of favorite books and some videos that have been useful to me on my journey. Books are placed in sections on this page according to the different topics presented on Awakenings. Use the links below to navigate to the section you want to explore. I had added a few brief comments. Amazon.com often has more detailed reviews. Click on the book or link to learn more or to order. Click on to return to the top of this page. New selections are frequently added. This page is graphic intensive to allow viewing of the book covers. If you like this web site, then you will enjoy this book written by Dan Johnston, Ph.D., the creator of Awakenings. It is a self-help book with practical advice on what to do to make life go better. Each short, easy-to-read chapter has common sense information to help you change your life. A delightful allegory about finding our way in life. Filled with wit and humor and beautifully illustrated. Fun to read and with an important message for all. Brief discussions of 101 words useful in aiding healing, growth, and development. Makes a good gift for anyone who is struggling to heal from physical or emotional crisis. A book about Buddhist spiritual practice that is a delight to read. It applies to any spiritual practice and will enliven your life. Learn about various mind states and the mind storms they can become if not just observed and allowed to pass. A book more about attitude and choice. It offers an exciting and fresh reinterpretation of Christian scripture to encourage living fully each day. A spiritual basis for choosing your best attitude. The right attitude may effect you economics. A delightful tale of a young man's search for his destiny. There are many adventures along the way and many lessons are learned. One's destiny is often found in an unexpected place. A wonderful collection of insights into love and life. Contains the classic "Autobiography in Five Short Chapters." Change is getting faster and we must adapt more quickly. Being resilient and able to "bounce back" from the ups and downs of life is important. Conner presents an excellent model of resiliency that applies to not only to work but to life in general. Presents a useful model of the cycle of change. Discusses resistance as being positive because it is providing useful information. The challenge is to learn to be open to resistance and to listen to it. A fun introduction to the enneagram. Provides good basic information. Light-hearted cartoons help us not take our type too seriously. Twenty question assessment at the start of each chapter. Brief correlation of the enneagram to the Myers-Briggs. A good book for beginners. Another fun book on the enneagram. Learn about your self and others. Especially, learn about how the different personality types get along with each other. Very good presentation of the enneagram. Emphasizes the transformational power of the enneagram and has a spiritual perspective. An early book on the enneagram that helps us identify our habitual placement of attention and how it can rule our lives.Discusses meditation practice as a way of transforming our type. 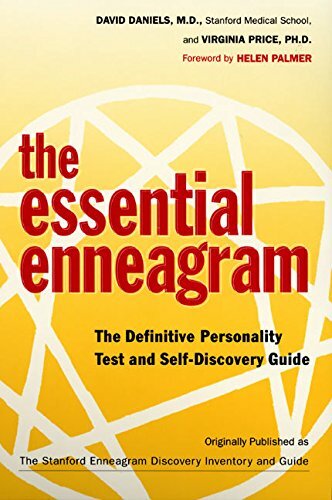 The Essential Enneagram by David Daniels M.D. and Virginia Price Ph.D.
Kind of a schematic diagram of the enneagram. Well organized and a wealth of information in a small package. This book is a good teaching resource. It has an interesting test composed of nine descriptive paragraphs from which you make choices. Reviews basic information on the enneagram and presents the various types in love and at work. Has a useful "Dictionary of Relationships" that compares every type with each other type in work and love relationships. Identifies problems and tells what to expect. Good review of the enneagram and fundamental information on how typology creates problems or advantage in work settings. The Wisdom of the Enneagram by Don Riso and Russ Hudson Highly recommended! The latest book from Riso and Hudson and I think it is the best. All the information in one place. It has a very simple and quick test to find your type. Excellent descriptions of the nine types and wonderful background information all in the context of fostering spiritual growth. One of the best books on the enneagram. Comprehensive in its coverage. Psychologically oriented in its approach to the enneagram. Provides information on the levels of functioning for each type. Useful affirmations and releases you can use to help you give up the compulsiveness of you type and move into you giftedness. An enneagram book that has a strong spiritual base. Views the enneagram through the lens of Christianity. Very helpful for those seeking a more spiritual understanding of personality and the potential for transformation or redemption. Learn about children and personality type. Recognize your children's personality style and learn what you can do to help them develop. This is the book that began the current interest in labyrinths. It is beautifully written and inspiring in its presentation of the power of the labyrinth as a tool for transformation. Focuses more on the Chartres style labyrinth. Highly recommended. Very informative with much practical information. A good section on creative and healing uses for labyrinths. Detailed instructions on how to construct your own labyrinth. The spiral form is at the heart of the labyrinth. This beautiful book is profusely illustrated with spiral shapes and forms from across time and around the world. A useful addition to a labyrinth library. Lively tribal sounding drum music to enliven a labyrinth walk and create a mood for celebration. Very peaceful music to add tranquility to a labyrinth walk. Informative video taped at a National Labyrinth Conference. Covers a variety of topics and speakers. Video on the history of labyrinths. Can be useful to introduce people to the labyrinth. A Jim Henson of the Muppets video that is a fantasy tale of a young girl's search for her brother by journeying through a maze (not a labyrinth). It symbolically tells of the journey to maturity and responsibility. Sometimes silly, it appeals to kids and can be a good tool to use for introducing the real labyrinth to them. Excellent treatment of midlife from the perspective of Jungian psychology. A very helpful book for understanding the midlife process. Highly recommended. Stein says that midlife is a crisis of the spirit. He uses the Greek myth of Hermes to help us understand the period of transition or 'liminality" that midlife is. Written from a Jungian perspective. I have read it several times and always gain new insight. Highly recommended. Arrange the five universal signs in the order of your preference and learn some interesting things your aspirations, strengths, needs, and fears. Fun and insightful. 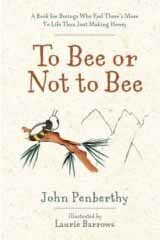 Delightful, humorous books with good advice on how to cope with a variety of life's problems. Practical advice about confronting fear. Well written with relevant examples. Learn about the three levels and five truths of fear that will help you confront your fear whatever it may be. Written from the perspective of Jungian psychology, this wonderful book gives tremendous insights into Jesus's teachings. The spiritual journey is a psychological journey and the Kingdom you seek is an inner reality to be discovered in becoming fully conscious. A book about how to bring ritual and tradition back into your life. Especially, focuses on renewing the experiences of the Christian holidays. A charming tale of pilgrims seeking seeking enlightenment in all the wrong ways but finding what they need. You will find yourself in some of these pilgrims and enjoy Anna's story. The Holy Man himself is a delight to meet. It makes a wonderful gift for yourself and others. Highly recommended. Delightful follow up to "The Holy Man." It tells of Anna's journey with Joe, the sage, as she grows into her best self and true nature. Much stress comes from worry. Most of us make things worse than they are by the way we think. Learn how your thinking creates your moods from anxiety, to depression, to anger. This is an excellent book on cognitive therapy with detailed information on how to change yourself for he better. An overview of stress management from the perspective of four Eastern philosophies of Taoism, traditional Buddhism, Zen Buddhism, and Confucianism. A basic introduction to these concepts. A simple, straightforward guide to a variety of meditation techniques. It has something to offer everyone. A very good reference. If you cannot find the book you want then search for it here.